Well our 10th birthday celebrations are now over, it’s been a blast! Thanks to all those artists that performed, to VIVID for hosting us and to all of you that attended it was indeed a marathon of aural delights. We’ve had a wonderful year with some fantastic and memorable performances, far too many highlights to mention (37 in total) – however a special mention must go to the SUBLIME FREQUENCIES show, SUPERSONIC Festival 09 and the Making Do event at New Art Gallery Walsall. 2010 is shaping up to be a pretty special year, already confirmed are BARONESS who will kick off proceedings in mid January at the Hare & Hounds, followed by THE EX & BRASS UNBOUND, Krautrock legends CLUSTER will be performing at Town Hall Birmingham. EYEHATEGOD will be making their first appearance in over 10 years in April at the Asylum and this is just for starters. We have plenty more treats up our sleeves including announcements for SUPERSONIC 2010. 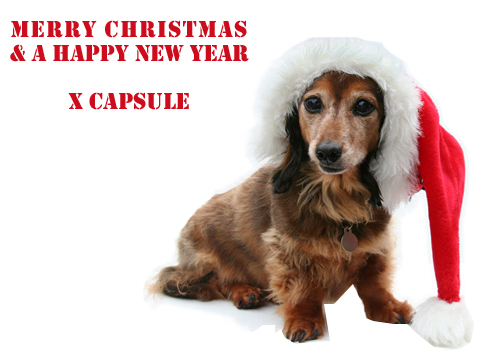 But for now have a wonderful Christmas and a very happy new year – thanks for your support.